Plant-based meats are more popular than ever, with game-changing vegan burgers regularly making headlines. Just last week, Impossible Foods debuted an updated version of its famed Impossible Burger that is said to be even more meaty than the original. A leader in the fake-meat industry has a few tricks up its sleeve for the new year. Impossible Foods—which first created the beef substitute that cooks, chews, and bleeds like meat (but is actually made from potato and wheat protein)—is not only retooling its beef recipe and rolling out non-burger shaped ground beef, but it’s also hoping to conquer what some consider the holy grail of meat dishes: the steak. [Steak] has huge symbolic value. If we can make an awesomely delicious world-class steak … that will be very disruptive not just to the beef industry, but to other sectors of the meat industry. Vegan meats like these are brilliant alternatives to the cruel and wasteful meat and dairy industries. And they’re more popular than ever before. Last year, a report from leading market research and consulting firm Coherent Market Insights found that the global vegan meat market is set to surpass $6.5 billion by 2026. And they’re not the only ones forecasting a boom. Allied Market Research predicts that the meat substitute market will grow 8.4 percent from 2015 to 2020, potentially reaching $5.2 billion globally. And Lux Research expects plant-based proteins to make up a third of the global protein market by 2054. With all the amazing meat alternatives already on the market, there’s truly never been a better time to eat more vegan meals. 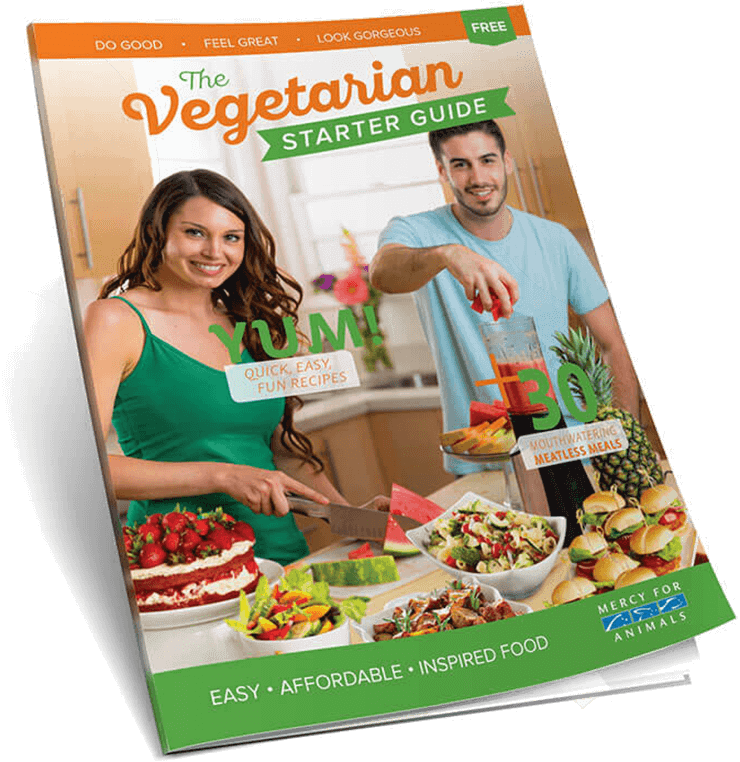 You can get delicious recipes and easy meal ideas by ordering a FREE Vegetarian Starter Guide today.